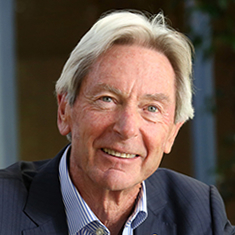 Join us as we hear from Bill Ferris AC, Chair of Innovation and Science Australia (ISA), discuss ISA’s strategic plan for Australia to thrive in the global innovation race. Released in January 2018, Australia 2030: Prosperity through Innovation is a strategic plan for Australia’s innovation, science and research system out to 2030. It provides a national roadmap for action to strengthen Australia’s innovation performance, with the goal of transforming Australia into an international leader in innovation by 2030. The Plan makes 30 recommendations to the Australian Government around five core policy imperatives including education, industry, government, research and development, and culture and ambition, that will help achieve this vision. In his address, Mr Ferris will explore the Plan’s vision, recommendations to Government and the next steps in driving the innovation agenda forward. Mr Ferris will also make the case for why we need to invigorate the national conversation to ensure innovation is at the forefront of national priority settings. Mr Ferris was appointed as Chair of the Innovation and Science Australia Board in November 2015. He was the Co-Founder of CHAMP Private Equity since its formation in 2000, and of its predecessor, Australian Mezzanine Investments Pty Ltd (AMIL), which he co-founded in 1987 with Joseph Skrzynski. Mr Ferris is a 47-year veteran of private equity in Australasia, founding Australia’s first venture capital firm in 1970. Mr Ferris was made an Officer of the Order of Australia in 1990 for services to the export industry and in 2008 was made Companion in the Order of Australia for his philanthropic activities, as a leader in support of medical research and his role in the establishment of the private equity sector in Australia. Mr Ferris holds an Honours degree in Economics from the University of Sydney and a Master of Business Administration from Harvard Business School where he graduated as a Baker Scholar in 1970. Mr Ferris is the author of three books: “Really Making a Difference” published December 1993, “Nothing Ventured, Nothing Gained” published March 2000, and “Inside Private Equity”, published January 2013. A livestream of this event will be shown at www.qut.edu.au/live-streaming?stream=ifegrandchallenge.